With imprinted goals to minister the ubiquitous electricity issues in rural areas, Solmitra Power & Steel Pvt. Ltd. (Estd. 2016) manufactures high quality, affordable and aesthetic products in the solar energy space by deploying appropriate electronic components while growing as a mass production house with great stakes in B2B sales. Instituting its rural business with the motto ‘Let’s work with Sun’, Solmitra (Sol - Sun in Greek & Mitra - Friend in Sanskrit) installed many solar street lights in almost all villages of Karnataka in a very short span of time. 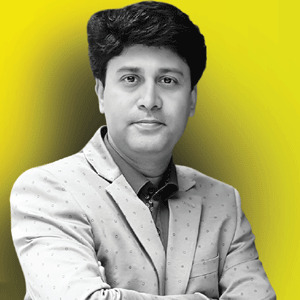 Atul Mishra (Director), the master mind of Solmitra stands as a great beam of support to the firm in escalating its presence over the B2B markets by wielding his instinctive study of market trends and distinctive marketing skills. To recapitulate, Solmitra’s chief focus is to render its best work to the country in terms of quality and innovation by ensuring that every person, especially the rural people can avail the best of solar products and be a part of this efficient technology. In a dedicated conversation of Atul with CEO Insights, he has articulated the entire journey of Solmitra and his role in reinforcing its operations. Kindly delineate your inception story and growth aspirations. Laying our first footsteps en route for steel trading, we embarked on creating solar energy products after executing an intense study of the market growth. Being a college dropout was never a deterrent for me in setting up manufacturing facilities for solar PV modules and other solar products at Solmitra. Eventually after seamless online marketing and closing dealings with many B2B companies, we outclass as trailblazers and creators of solar products in lighting and heat generation. To incessantly burgeon in this industry, we hope that Indian import compliances of raw materials are relaxed, complex foreign remittances are revised, Indian standards are modified on par with European conformity and GST is put to the best use. Could you cast some light on each stage of Solmitra’s manufacturing process? The manufacturing process begins from acquiring the solar specifications & requirements(of any type) from our B2B customers, followed by evaluating product components, design, material and process. Post this, we frame the documentation and our in-house design team, create the design, procure high-grade & durable raw materials from across the world, make the product prototype and proceed with the batch to bulk production once the customer agrees with the prototyped version. Designed by our R&D venture located in Melbourne, the production process is executed by our professional production team wherein the bill of process & packing are constantly improved to assure timely deliveries. Once the products are developed, we transport them smoothly through the required means of transportation by complying with all the requisite certifications and documentations. Clearly, the main grail of each of our employees(Electrical or Electronics & Communication engineers) is to strive hard to bring customers’ ideas into reality.
" The main grail of each of our employees (Electrical or Electronics & Communication engineers)is to strive hard to bring customers’ ideas into reality"
What enkindled you to expand the solar products business towards energy storage segment? Our portfolio of export quality solar products entails All in One Solar Street Lights (with WiFi/GSM camera), Solar Lantern, Solar Home Lighting System, Solar Energy Solutions, and many more. Besides generating solar power via off-grid and on-grid rooftop systems, we are also on the verge of introducing Ai brand solar batteries in Li-Ion technology. Because of the tremendous response from the market to reduce costs of our existing products, we plunged into manufacturing of energy storage products like Li-ion and advanced LiFePO4 battery packs for Electric Vehicle and other storage applications. 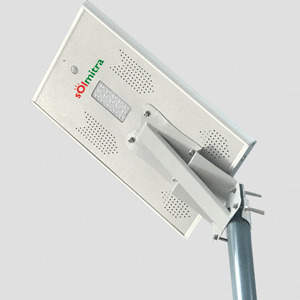 In fact, we are the first company in India to make the Integrated Solar Street Light & Camera Street Light with advanced LiFePO4 batteries. With all our solar products including storage systems pinned with a minimum 5-year warranty, we are planning to offer the buyback of products once the warranty expires only to our existing customers. How do you innovate to stay ahead in this ever-evolving industry? Kindly elucidate your future plans. technology & lighting system) stand as the linchpins of our venture wherein they endeavour to create the best and newest versions of products both in terms of hardware & software. Each of our production batches exemplify the enhancement & newness of our products as we meticulously analyze the behaviour of each product, make it more affordable and aesthetic look-wise, absorb our customers’ feedback and accordingly enhance it. As acquiring the biggest dealer network and deep rural reach are our main targets, we envisage to launch our first phase of dealership networking, bolster our digital presence and support our customers with a back-end team that generates sales leads and performs smart & analytic marketing. Also, we aspire to stay as a knowledge-based company by updating our skills at any cost and invent new technologies via R&D. Furthermore, we will be launching a manufacturing plant with 35 MW Semi-Automatic PV Module Line in Bangalore and also unveiling two novel products in Indian rural sector (for lighting system & heat generating system respectively, which is under patent processing) wherein one of them will possibly help Government’s Ujwalla Yojana. Adept at strategic planning, Atul founded Solmitra to transform his profound knowledge in solar energy into advanced solar & energy storage products.